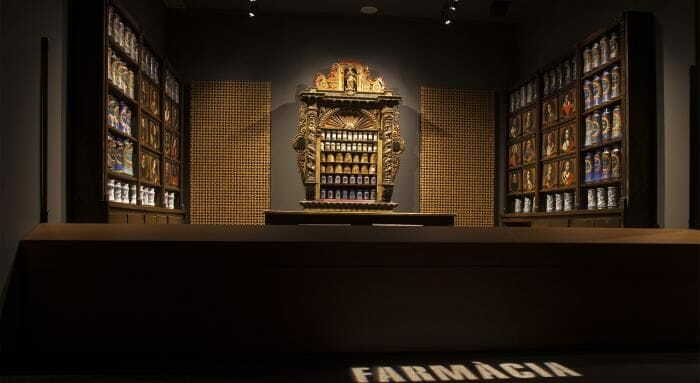 The pharmacy of Llívia, documented since 1594, is considered the oldest in Europe. Llívia is a curious place: a Catalan enclave in French territory, an island of Catalonia within France. The town is surrounded by woods, lakes, and meadows that invite you to come and have a look, stroll around, breathe in the fresh air, and enjoy the natural environment. In the early 17th century, it was taken over by the Esteva family, who ran it for seven generations until the last pharmacist closed it down in 1926. Diputació de Girona acquired the building in 1965 under the agreement that it would remain in Llívia. The museum houses a collection of archaeological material pertaining to the history of the town.